If you have landed on this page, don’t feel offended. I’m not really calling you a dummy, the basic idea is that this post is meant for complete newbies who are just getting started blogging and are just learning about concepts such as SEO. But, let’s first begin with the most rudimentary explanation of how SEO works. Have you ever wondered how Google determines which site comes up at the top of the search page anytime you click the search button? Well, Google uses over 100 indicators to determine the order in which sites are ranked for each search term. These indicators include things such as backlinks, keywords, fresh content, and many more. Little programs known as spiders are sent out to examine sites for these indicators. 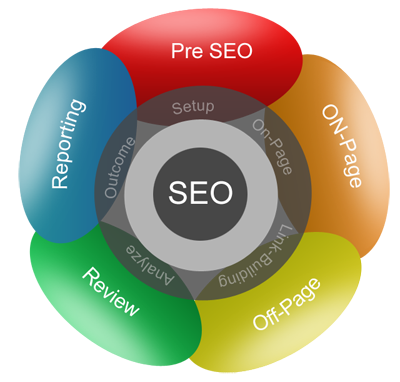 Search engine optimization is the process of making sure the spiders like what they find. In reality, SEO is a rapidly evolving field. In all the chaos, there are few things that continue to hold true since the advent of the Internet and it is these points that I discuss here. To succeed as a blogger and for the best SEO, you must have your own domain name and hosting. Avoid using the free WordPress.com subdomain because you are severely limited to what you can do with your site. Google gives preference to serious and trustworthy sites. Free sub-domains and hosting simply don’t send the message that you are a serious outfit. The main mission of Google as a search engine is to provide people with relevant search results that help them solve a problem. If your content is not aligned with this mantra, they you’ve got a problem. Original content doesn’t refer to just written content but to images, videos, podcasts and even useful tools. In case you haven’t already heard of backlinks, a backlink is a link from another site to your site. Links are important for SEO because they help search engines understand the value of your site. Links from reputable, high authority sites are good for SEO and the vice versa is also true. Never buy links or participate in any reciprocal programs. The best way to attract natural links is to develop great content that readers want to link to and share. Coupled with this is guest posting in relevant blogs and linking back to your site. If you guest post, ensure the guest posts are of similar or higher quality as your blog. When installing a WordPress theme, make sure it is SEO friendly. A good rule of thumb is to check the theme description find out whether it states “responsive”. Also, read the reviews to see what people have to say about its loading speed, code and whether it’s developer friendly. If you can afford it, purchase a theme from an established developer who offers support. A good SEO ready theme will cost you between $40 and $100. Navigate to Settings > Permalinks and set your link structure to display as yourdomain.com/postname or yourdomain.com/year/month/postname. This is the best format for SEO because it allows you to include some keywords in your URL. Also, make sure you don’t use more than five words in your URL because Google gives the most ranking weight to the first five. A sitemap is a file that contains all the pages, posts and archives of your site. WordPress has a number of free plugins that generate an automatic sitemap. This makes it easier for spiders to crawl your site and hence improves indexing… all good for SEO. Blog commenting is one of the fastest ways to build backlinks to your site. It consists of looking for related blogs and posting relevant useful comments. Try to be as helpful as you can or provide new insights in the comments section. Ever since social media came onto the scene, Google and other search engines have been looking to social media sites for signals of an article’s popularity, authority and relevance. In fact, Tweets are now common in Google’s search result pages. If everyone is tweeting about something, chances are, the content is good. So, ignore social media at your own peril. There are a number of free SEO plugins that help you get the technical on-page SEO aspects of each post right. That is, title tags, headings, descriptions and internal linking. Finally, as mentioned before, SEO is a rapidly evolving field. To keep up-to-date with the latest developments and techniques, follow some of the leading SEO sites and bloggers. So, there you have it, ten WordPress SEO basics. Remember, these are the only constants that haven’t changed much over time. Getting these right will definitely give your site a good bump in the search rankings. You will be surprised how many sites out there ignore these basics. Follow this guide religiously and you will be well on your way to getting thousands of visitors to your site. What are some SEO basics you personally use for your website? Do you see results?